Want to skip the article and go straight to the polls to support us? Vote here! We’re excited and honored to announce that Dogtown Media & Worldwide Breast Cancer have been nominated for the “Best Apps, Mobile, and Voice: Health & Fitness” category at The 23rd Annual Webby Awards! The Webby Awards is an annual ceremony that recognizes superb Internet excellence. In fact, it’s hailed as the “Interner’s highest honor” by the New York Times! Established in 1996 by The International Academy of Digital Arts and Sciences (IADAS), The Webbys cover the latest and greatest in websites, video, advertising, apps, mobile, social, podcasts, and games. IADAS nominates the candidates. From there, two winners are selected in each category: The Webby Award is selected by IADAS, and The Webby People’s Voice Award is selected by the public. The judging body of IADAS is composed of over 2,000 technology innovators and industry experts. This includes Vint Cerf, Instagram’s Head of Fashion Partnerships; Eva Chen, Director of Harvard’s Berkman Center for Internet & Society; GE CMO Linda Boff, Cathy Pearl, Google’s Head of Conversation Design; Eric Williamson, Fortnite Designer; Diane Tryneski, HBO’s Digital Chief; and many more. This year, The Webby Awards received almost 13,000 entries from 70 countries. We’re extremely elated and grateful that we made the cut! 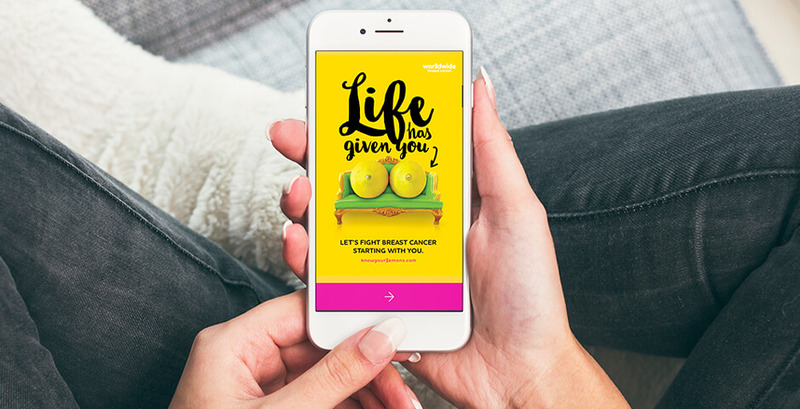 Dogtown Media has been nominated for Know Your Lemons, a breast health education app we built for Worldwide Breast Cancer (WBC). Since 2014, WBC’s Know Your Lemons campaign has educated over half a billion people in 20 languages across 90 countries. We wanted to expand on this monumental success and make these education efforts more accessible through an easy-to-use digital product that people could use to learn how to self-exam, learn about risk factors of breast cancer, book a mammogram, and feel confident in knowing what to do if something suspicious is found. Because we’re in the top 5 in our category, Dogtown Media & Worldwide Breast Cancer are eligible to win a Webby People’s Voice Award. Winners will be announced on April 23rd and get to attend the star-studded ceremony on May 13th in New York City. But to get there, we’ll need your support. Help us reach The Webby Awards and show the world that when life gives you lemons, you can make magic happen! From now until April 18th, you can vote for us here.